A great indoor play centre for your toddler and/or pre-schooler. Mondays, Wednesdays & Fridays 9:30am – 12:30pm (during the school year). As a general rule of thumb, if school is “in” Drop-In Play Zone is OPEN; if school is “off” Drop-In Play Zone is CLOSED. 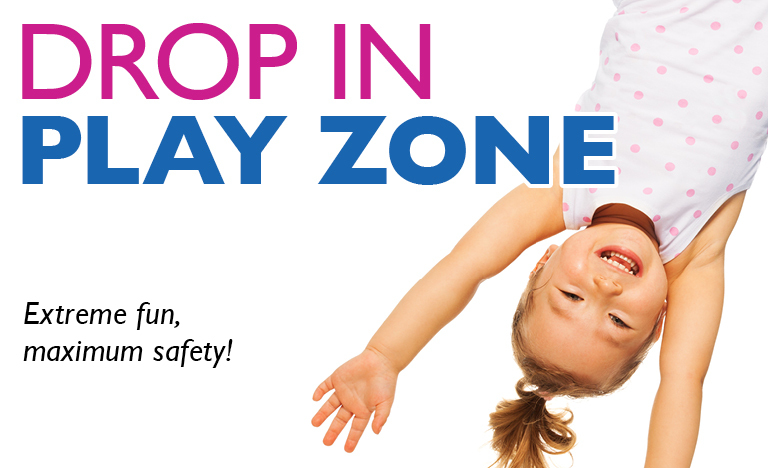 Please be advised; Drop-In Play Zone is CLOSED on all UGDSB designated Professional Activity Days, Statutory Holidays, Family Day and Board Designated Holidays. Access the current UGDSB Elementary School Year Calendar HERE. Kiddos can attend Drop-In Play Zone for only $10 per visit (tax free) with our Camps & Activities Membership. Siblings get a 50% discount on their visit and CHILDREN UNDER 15-MONTHS ARE FREE. As soon as your child is crawling they are ready for a trip to our Drop-In Play Zone. As an added BONUS children currently enrolled in a Recreational gymnastics class at Guelph Saultos receive a 50% discount at Drop-In Play Zone. Wow! that’s only $5 for up to three hours of unstructured play in an amazing, fun and safe indoor play centre ($2.50 for enrolled siblings). Please note: an adult must accompany children into the gymnasium.